I met up with my friend today in order to take advantage of the beautiful weather and also get some exercise (I wish knitting and crocheting burned more calories). 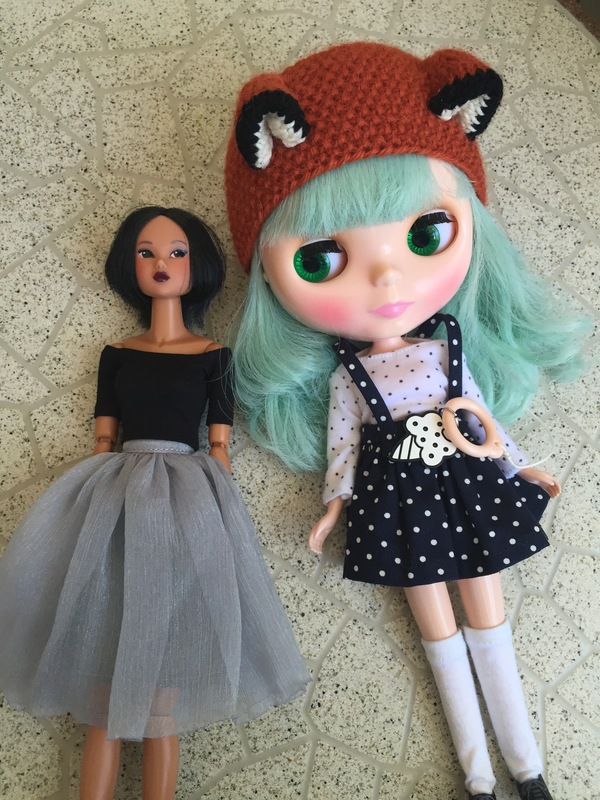 My friend brought her new Momoko doll out while I redressed and brought out Reese, my Wendy Weekender. 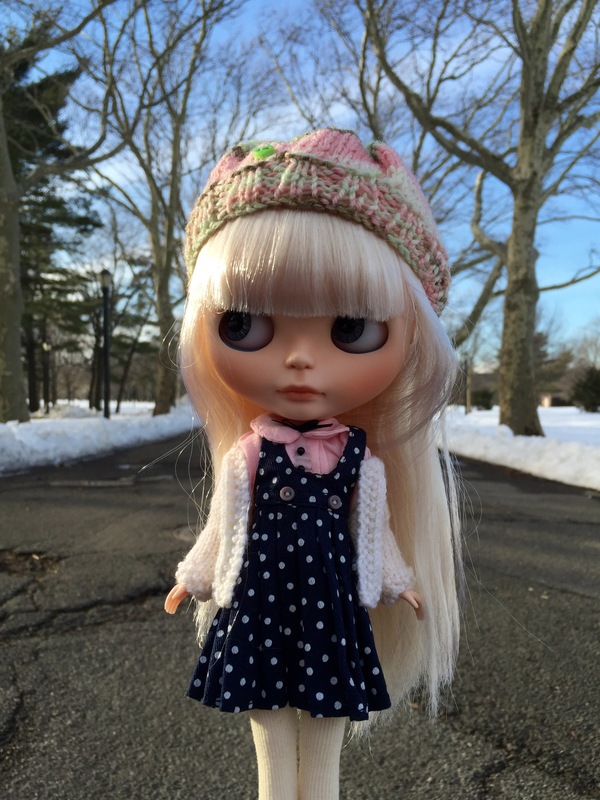 I love taking walks with a doll, because the change in scenery compared to the photos I normally take at home is refreshing. My friend’s Momoko is also quite beautiful! 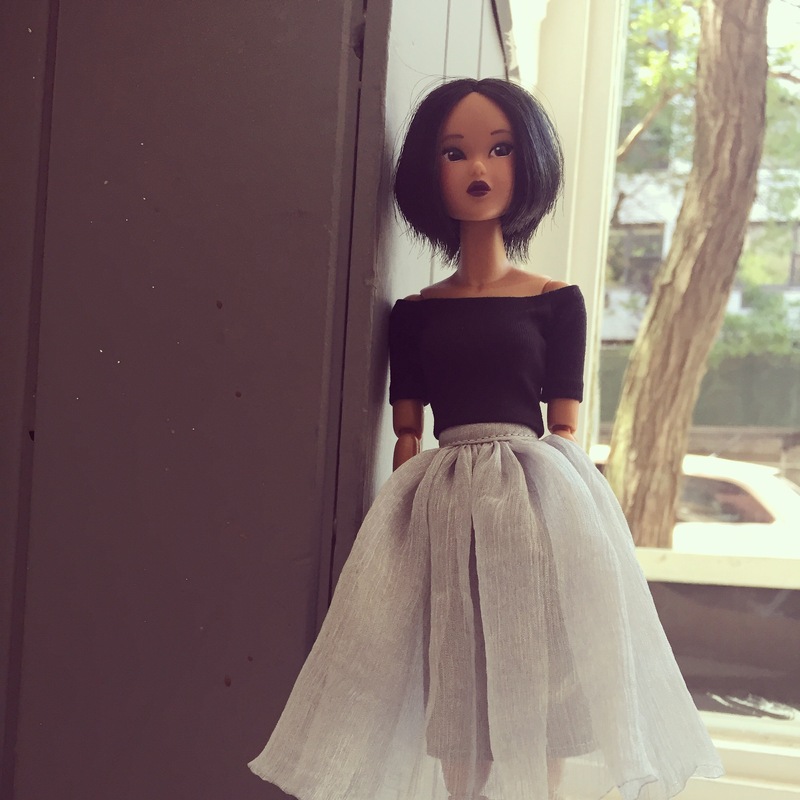 Tanned dolls seem special to me because there doesn’t seem to be as many released by Asian doll companies, and there’s something quite striking about how the bold lip doesn’t distract from her face or starkly contrast to her skin tone. Momoko looks pretty editorial next to Reese. What Reese is wearing: Samedi Marche stock top, Kuloft suspender skirt, MINIJIJO socks, Les Jeunette stock shoes, knitted fox headband. Normally I don’t like to do ANYTHING on Sunday – Sunday is my literal day of rest. I don’t do anything to mentally and physically prepare myself for work the next day. My plan for the remainder of the day is to laze about ^^. I also was amazed at how beautiful my friend’s new girl is! The detail in the mouth and the nose are gorgeous, and she has very fine shimmer across her cheeks as well as gold hearts painted on her lids. 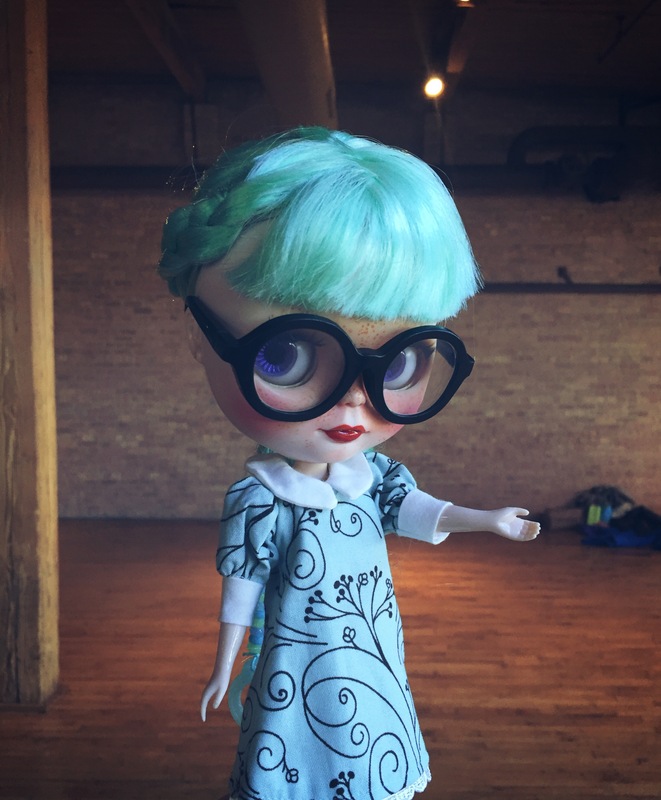 Seeing my friend’s customized Winterish Allure also gives me a newfound appreciation for the stock doll – that hair is a gorgeous ash blond. It’s thick and has a nice wave to it. 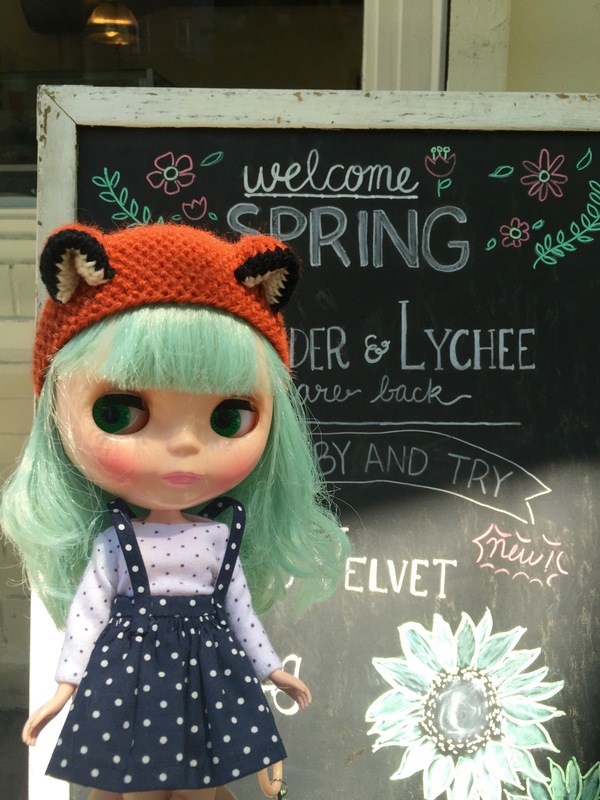 Aine (my friend’s WA) is wearing Raspberry Sorbet stock from head to toe, and Elowyn is wearing a Plastic Fashion dress, Cadence Majorette stock shoes, and a knitted fox headband from Kbabydolls. P.S. Don’t forget to enter my mini giveaway, if you haven’t yet! I took both Danbo and Sonny Angel out today. Some more obligatory beach photos, but I added footprints this time (probably not enough though)! The hotel also gave us this plate. No idea why. 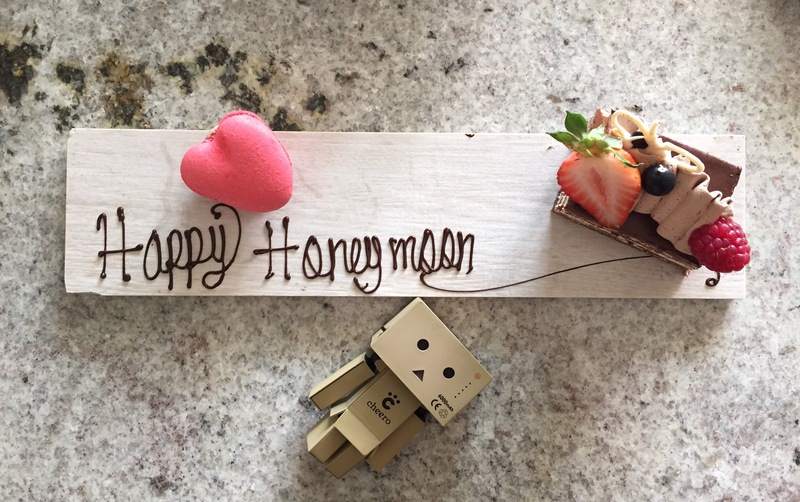 I guess… They assumed my parents are on a honey moon… And decided to bring their adult daughter with them. Sonny Angel is looking right at home ^^. Currently, Danbo is looking a little worse for the wear (Sorry Danbo). Danbo and Sonny Angel are pretty fun to photograph. They stand up by themselves without problem, and I’m getting the hang of playing with scale and my iPhone. 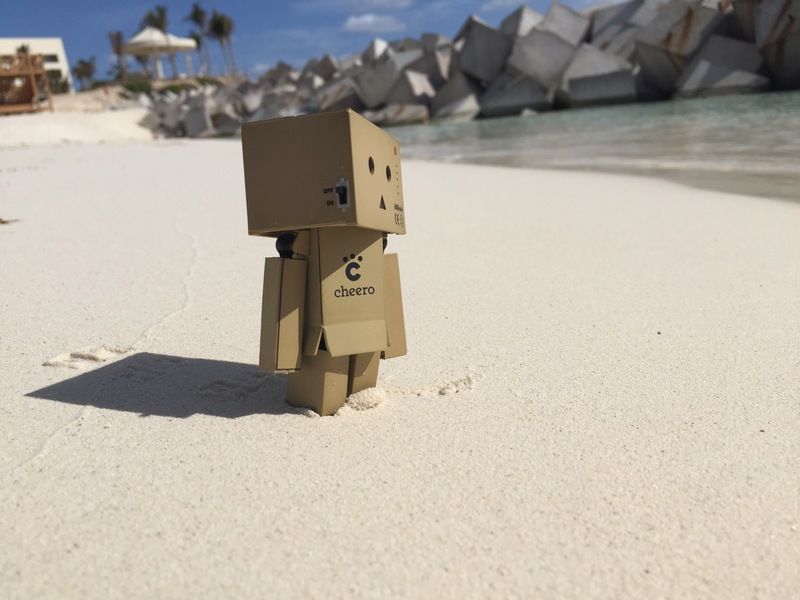 In particular, Danbo is really photogenic (with that (　ﾟдﾟ) face). My vacation away from life ends soon! 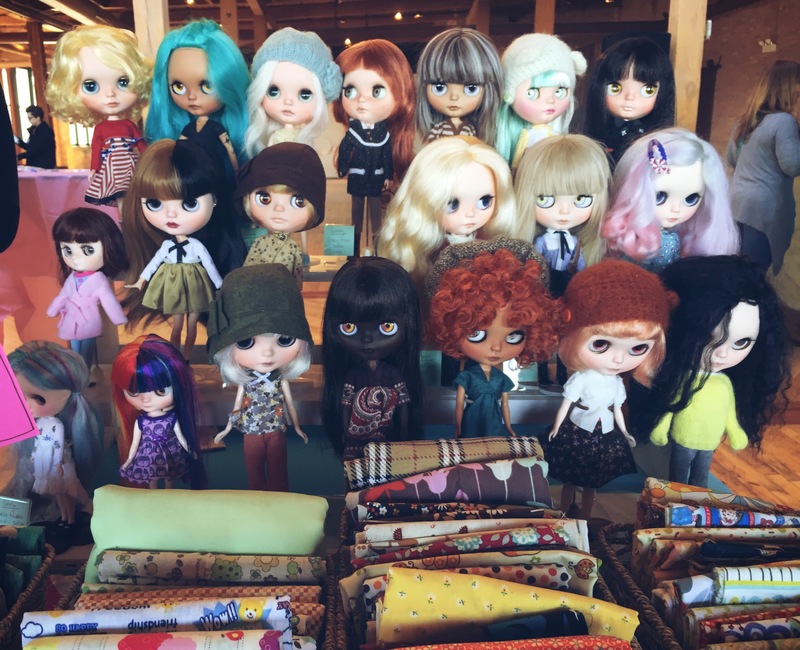 I’m going to a Blythe meet soon, and I have a doll project in mind for when I get back (though with the weather being the way it is, I might have to postpone it). I also think that my 1 year bloggiversary (that doesn’t look right…) is coming up soon! Exciting times ^^. I’m going to try to take it easy (instead of wanting to be productive, which on a vacation is counterproductive), so my next post will most likely be when I get back. I hope everyone is having a great start to the week! I’ve been taking it (real) easy these past few days – after the reroot, I kind of ran out of steam. Subsequently, I kind of sort of tapped out of the ADAD challenge, which in my defense, I’m not sure I’m cut out for it. I have that personality where when something that is fun starts to feel like a job, I feel this overwhelming urge to procrastinate and at that point, the thing that was supposed to be enjoyable becomes a chore. Also, taking photos at night in my room while trying to make the photos pretty or artsy isn’t easy! I began depending on filters to make my photos interesting. I did experience my best photoshoot while participating in the daily photo challenge! 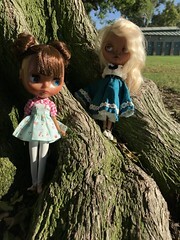 I met with my friend, and we took our girls to a large park to take some outdoor photos. 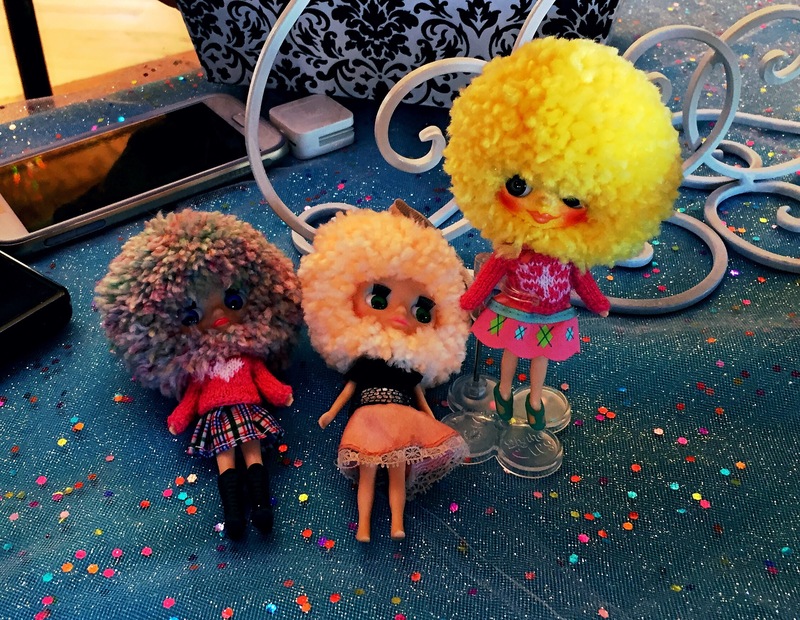 I guess this is the first time where my sole reason to go somewhere is to take photos of my dolls. I’m quite happy with how a lot of my photos came out. 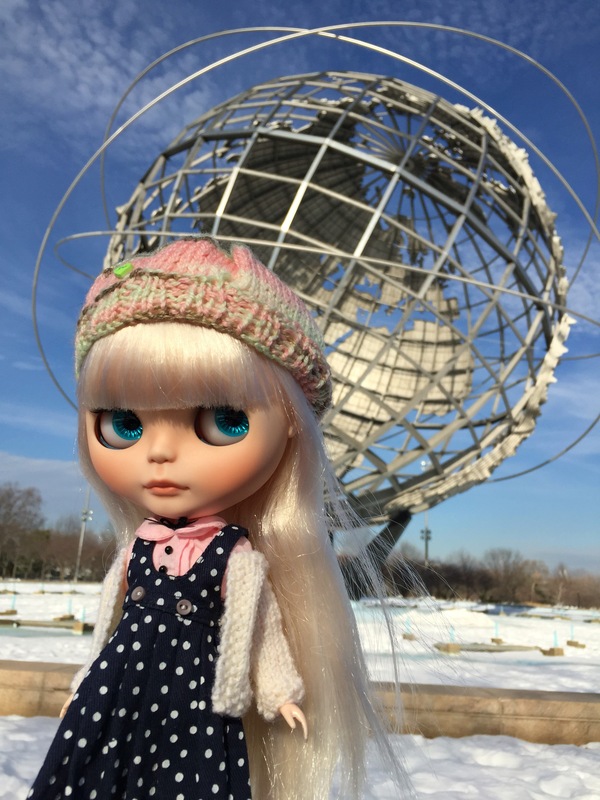 Plus, since it was a chilly winter day, the park was relatively empty (score!). 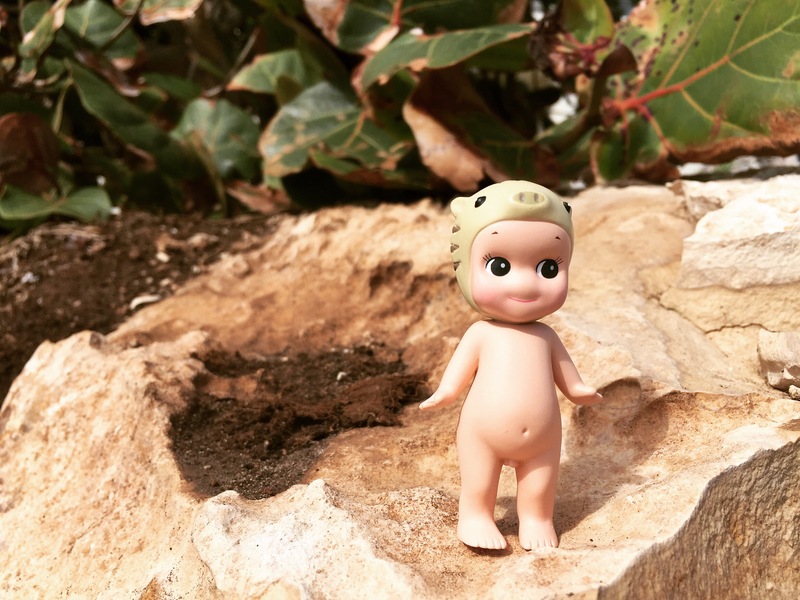 Which brings me to the next thing I want to talk about – bringing a doll on vacation. I’ve done it before – Rosaline (who I’ve since rehomed) came with me to California, and Marina and Finley went with me to Chicago. However, this time I’ll be traveling with relatives (my aunt and uncle) who have no idea that I collect dolls. My aunt in particular has very strong opinions, and will voice them whether I like it or not. I’m not sure how they will react to my whipping out a doll for photos. I probably will take a girl with me, and maybe take some time by myself to walk around and snap some photos. 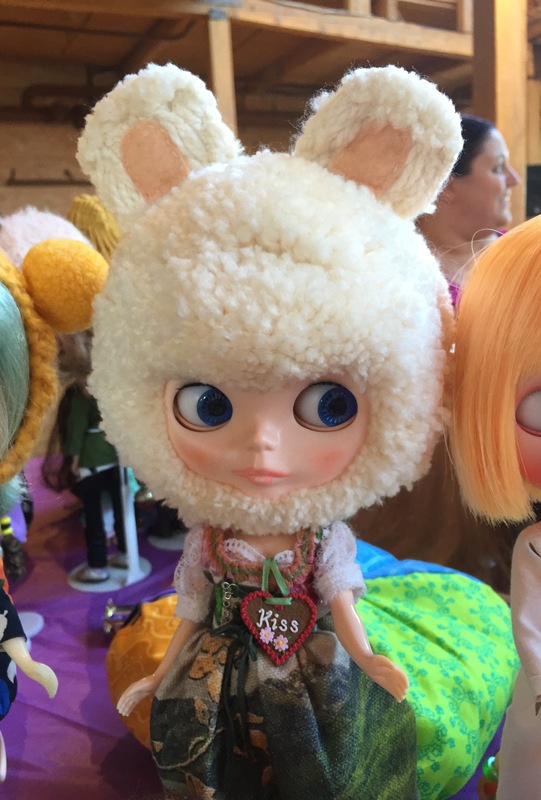 I will most likely bring Merry, my Licca chan. 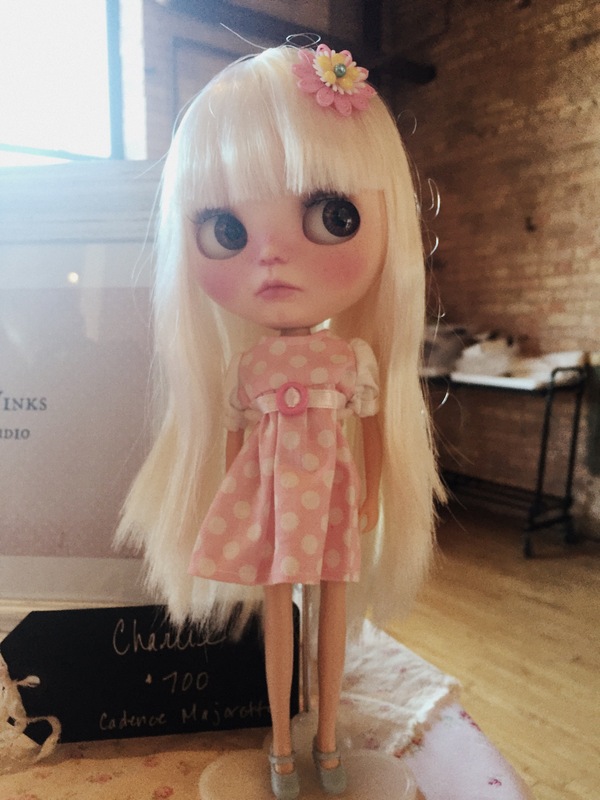 She seems way sturdier than any of my blythes and she’s considerably smaller (more discrete, and easier to carry around). Merry is the low-key option in that I don’t have to worry too much about posing her, accidentally breaking her, or sand/water getting into her head. I don’t want to worry about anything, as I haven’t traveled in a while and I really need a break from the everyday. I just don’t know though! · Cherie Babette – I hope she comes this month! 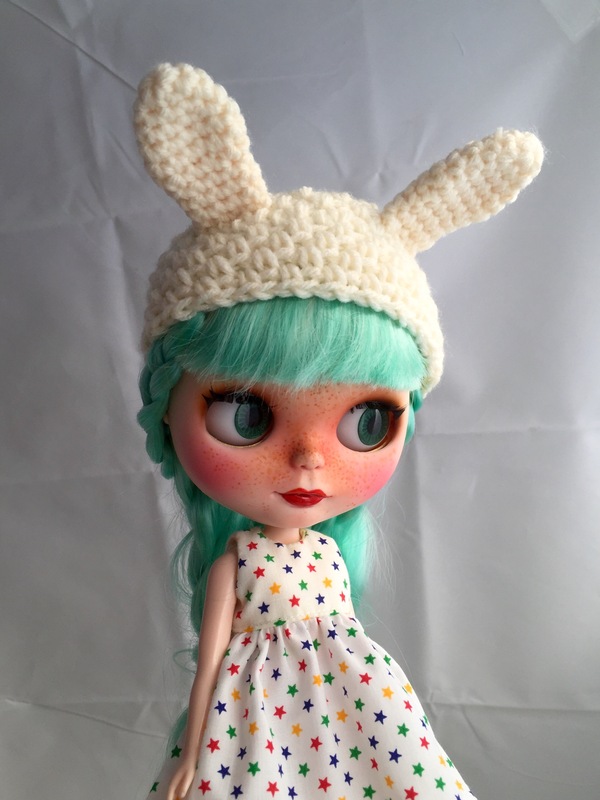 I have that hankering to debox a new blythe! Lol, Merry is okay. I stopped my cat before she knocked Merry over. 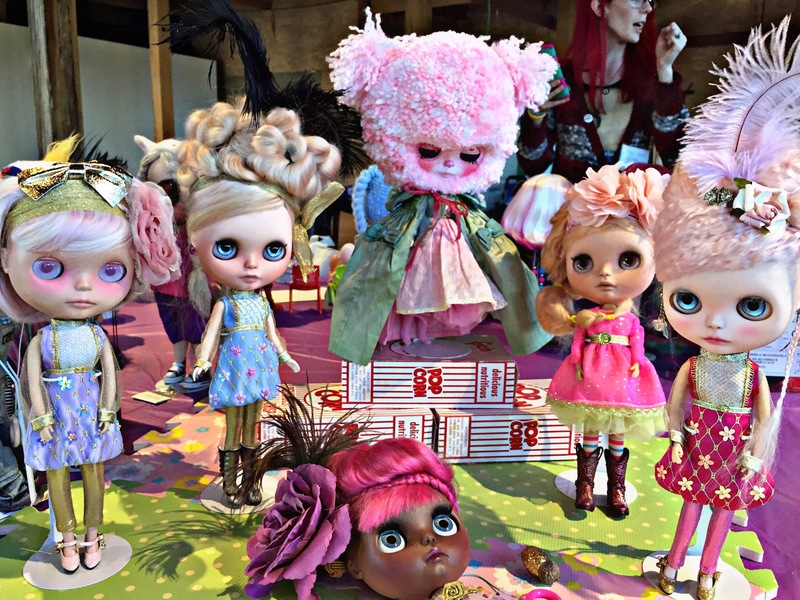 It has to be jealousy though, because most of the time, the camera is pointed at her as opposed to my dolls. I put Merry in a Reve de Rui tunic top and Mini Jijo socks. Her shoes are her stock shoes, and I crocheted that scarf. 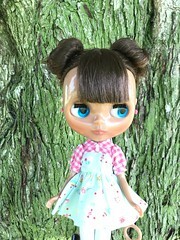 I changed Rory into the stock Stella Savannah dress and blouse. The fox headband has been on her since I got back from Blythe Con in October. I haven’t redressed Marina, because I’m waiting for Christmas! I ordered her very own dress by Plastic Fashion, and I’m waiting for Christmas to open it up and put it on her. ^^ Only five more days til the big day! My friend gave me her spare photography light box! Pardon the mess. I’m not sure I can tell the difference between using a photo light box and not using a photo light box during the day. I guess one plus is that the walls of the box diffuse the natural sunlight (like it is meant to), and that sort of soft natural light does make for a nice photo. 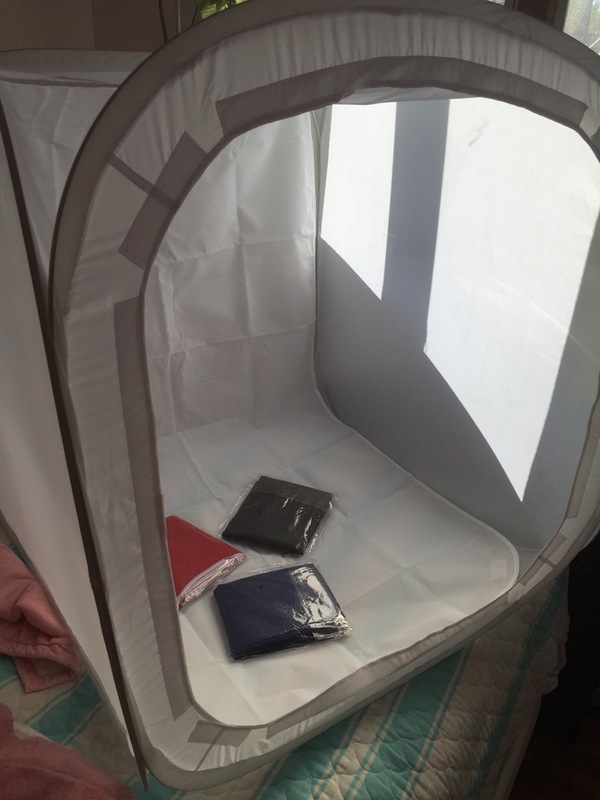 Having a real photography light box definitely beats having to DIY one. I’ve tried making one before out of a cardboard box, tissue paper, and poster board , but it was a fragile mess. 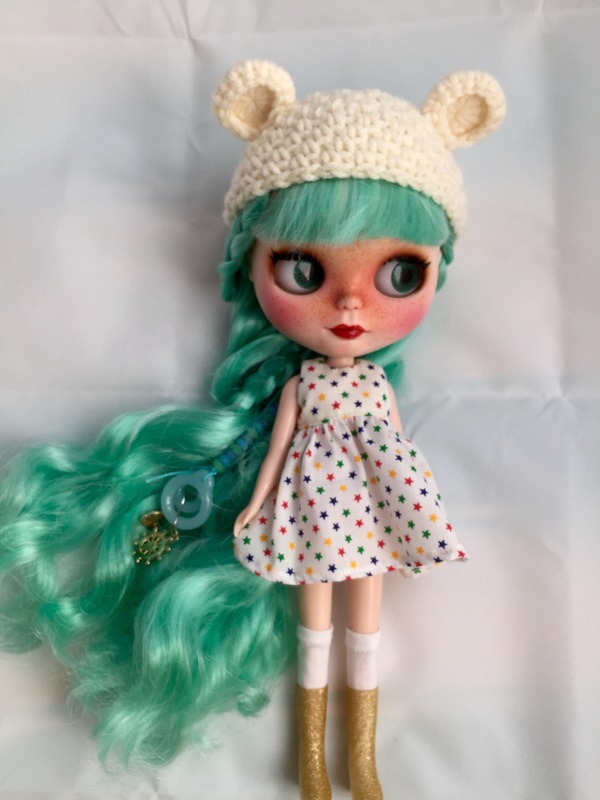 Link to the tutorial I used for the more adventurous, craftier folk than I.
Hopefully I’ll be able to take better photos of my doll things now! … And also not have to rely on filters to make my photos pretty >_<. 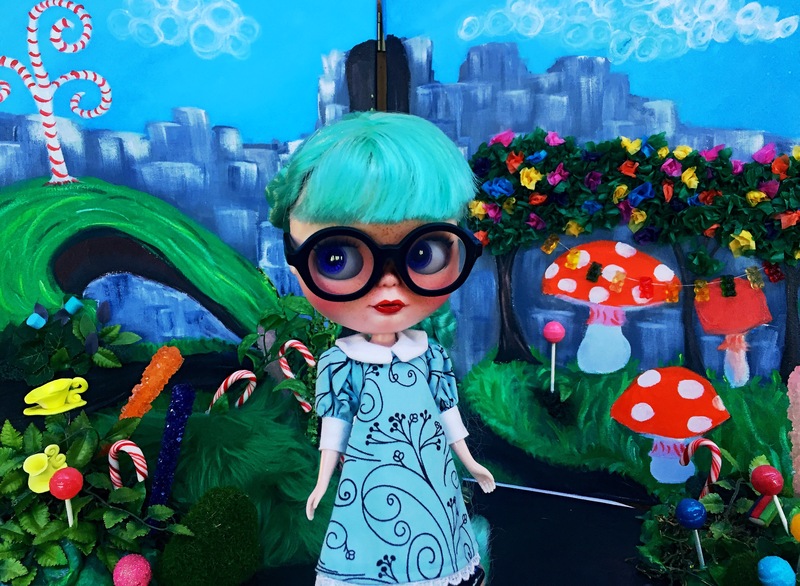 Blythe con 2015 – it went by so fast! I am exhausted. Blythe Con Chicago was my first Blythe convention, and it was all so very exciting and exhausting. I had no idea what to expect, and I also only knew a handful of people going. I’m kind of painfully awkward in large crowds and with strangers, and I’m not so great at self-introductions. 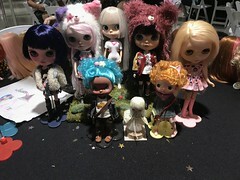 I’m actually still a little frazzled from the day – visual overload with well over one hundred dolls and so many colors. To make this easy (for me), I’m going to split the experience in sections. The Pre-meet: I only stopped by to say hello. There was quite a turn out, and some people vending small items. From photos the pre-meet looked pretty fun (… Next time!). Getting there – I recommend getting to the convention early. I got to BCC 15 minutes late, and had to queue for a bit to get in. If there’s an item you really want to purchase, and there’s a limited quantity, definitely get there early. I don’t mind so much queuing, especially since I kind of expect it at any convention, but I do feel the sense that I missed out on some good items (really wanted a pair of skinny jeans from a particular table!). The set up – I first checked in at the welcoming desk, and received my goody bag and name tag before going into the main hall. 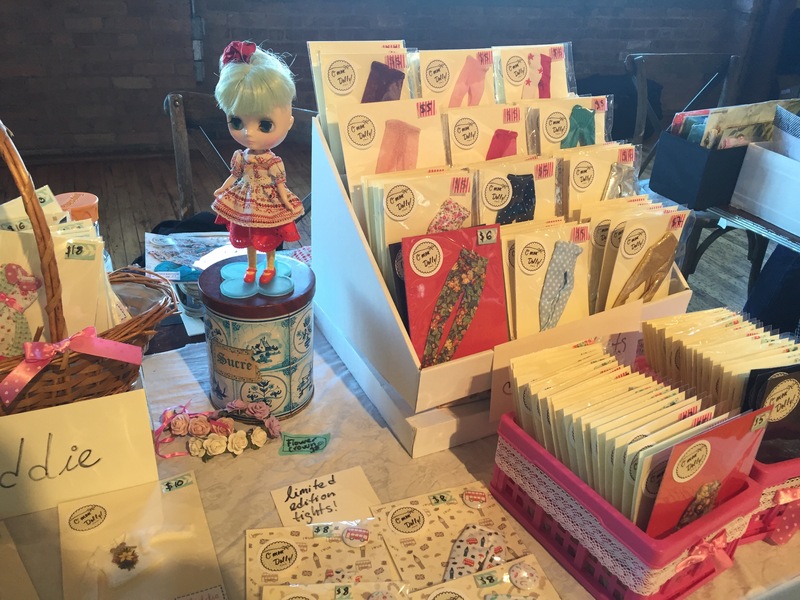 The venue was a huge open space with two rows of vendor tables on one side and tables for the attendees on the other. Shopping – so much shopping! I did some damage here. I was excited to see quite a number of the sellers as I had a shopping cart on etsy filled with a few of the items they were selling. 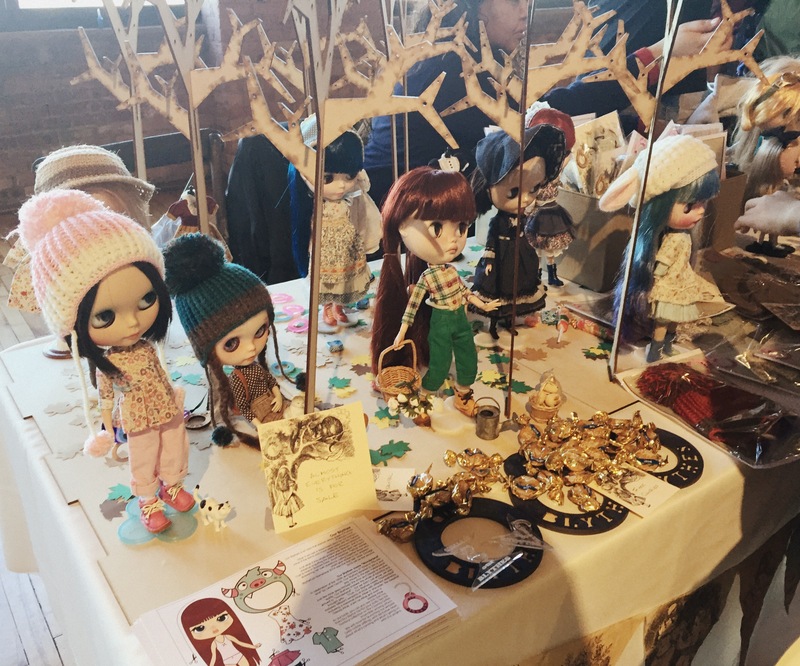 It was also really nice meeting all of the vendors (super nice, super talented). 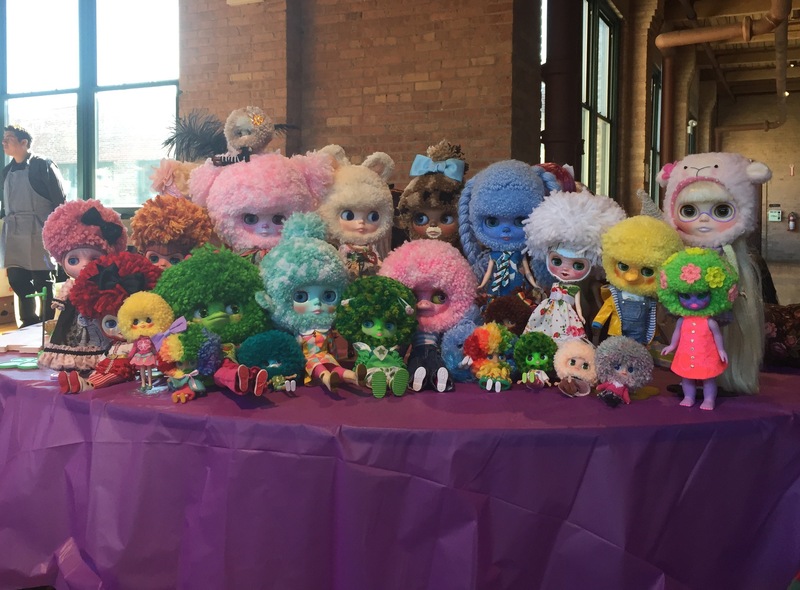 Panels – there were a few panels held (Kenner panel, Intro to customizing, and a few others). I didn’t attend these as I lost track of time. Meeting and greeting and sitting – I met a ton of nice people today. 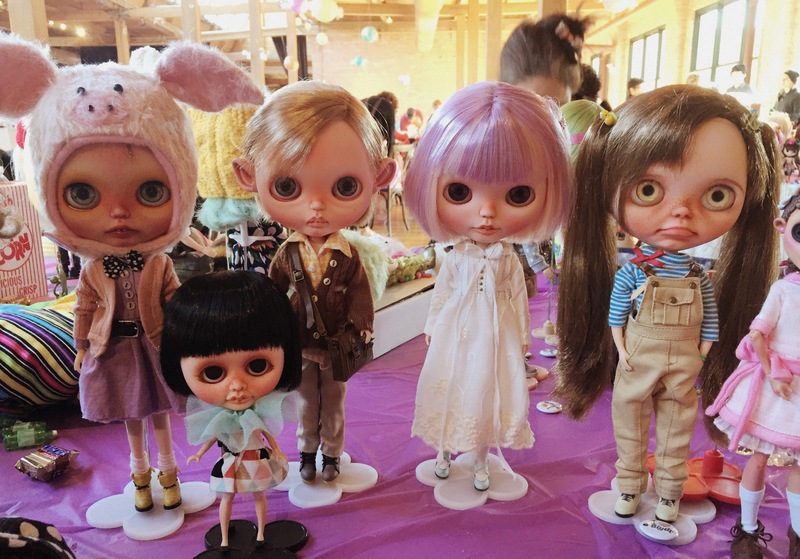 In this kind of setting, it’s definitely easier to make new friends as everyone is there because they love blythes and want to hang out with fellow Blythe lovers (XD I think). I also spent a lot of time sitting at a table… Resting my feet. I’ve been doing so much walking in Chicago and making several rounds to the vendor tables for browsing and shopping that my feet were killing me. Taking photos – I had a serious case of visual overload. So many colors! 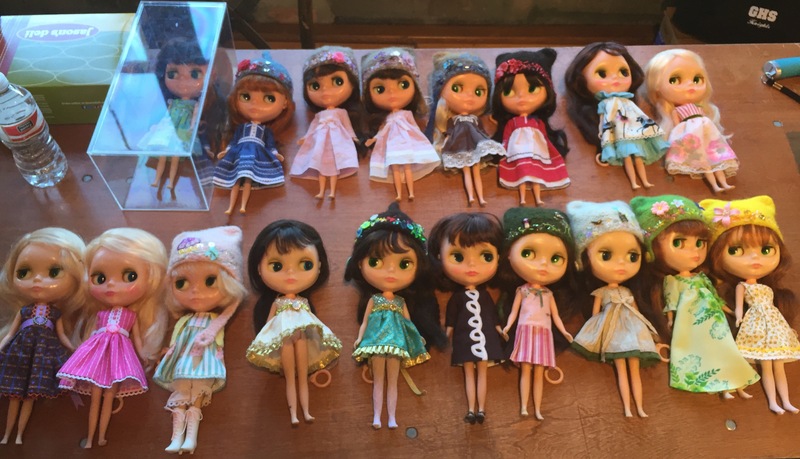 So many dolls to look at! 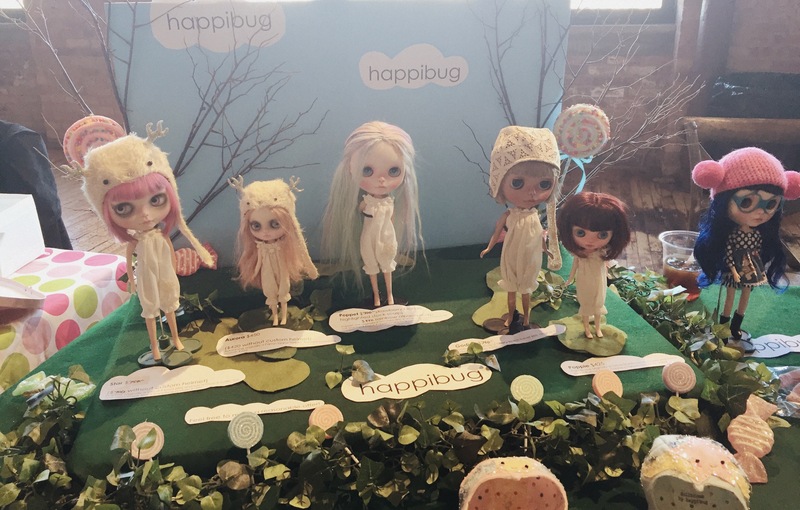 There were a couple of sets for photo taking, and also so many beautiful dolls set up on tables. 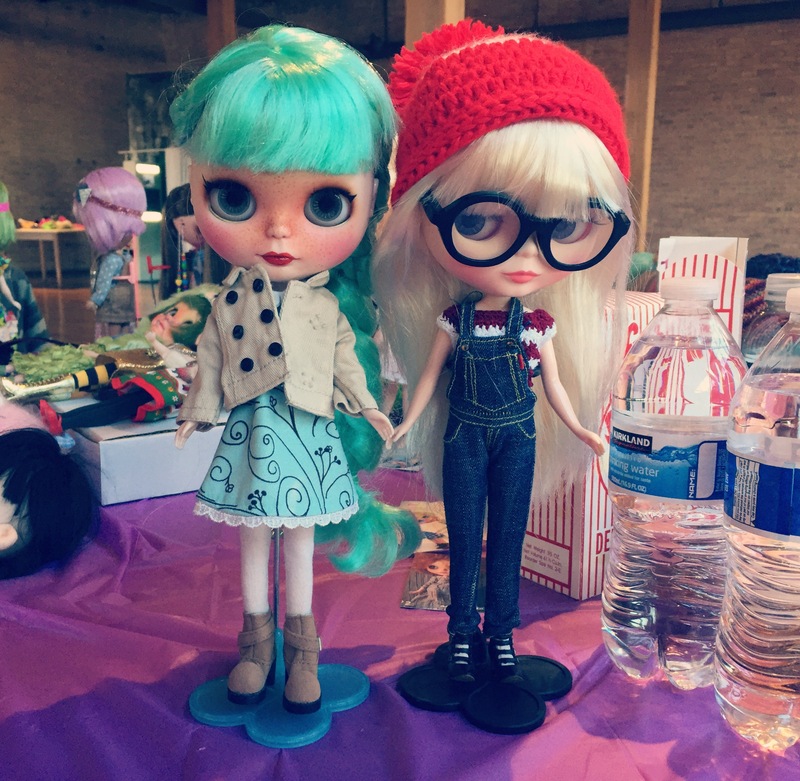 Some con goers also did smaller meet ups to take photos of dolls from the same customizer. I had a great experience at my first convention. It amazes me that it was a completely fan-run convention. 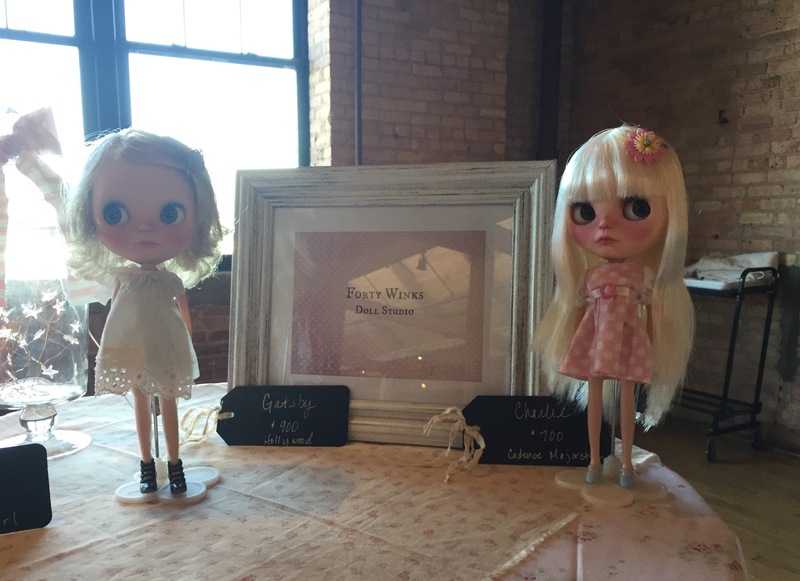 It was very organized and also everyone went home with a donated door prize (it was anything from a customized doll, a doll customization voucher, doll clothes, or doll accessories). 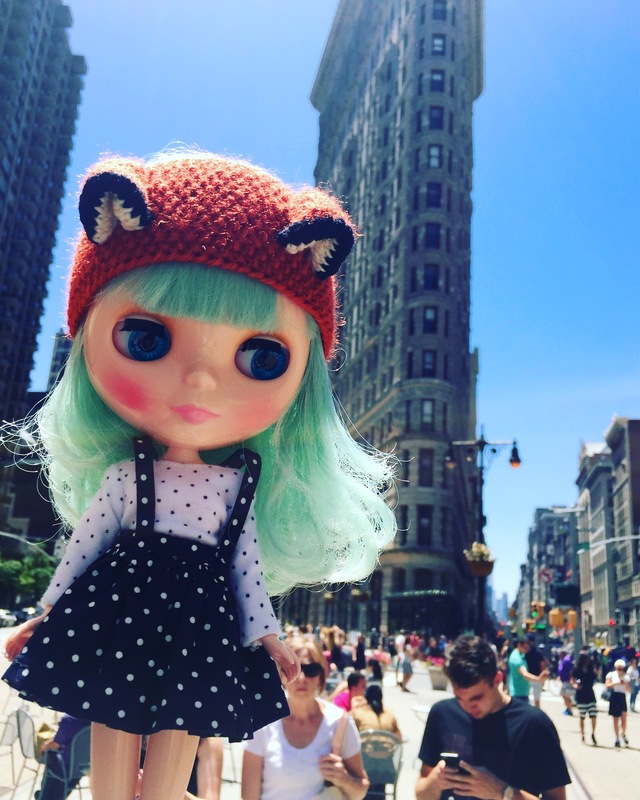 Next year Blythe con will be held in San Francisco! I hope to be there too ^^. Also – will post photos of my haul when I get back home!